Many top athletes enjoy improved workouts with their favorite music in their quest for peak performance. For the rest of us, music can get us through our workout and keep us on track for our weight loss and improved health goals. Now that iPods are no longer being sold, most people play music on their phones. Today’s phones tend to be much larger and more expensive and at risk for damage when being used for exercise. But there are still music players that are designed for rugged use and protective cases and pouches that will do the job without breaking your bank account. Here are our most recommended audio players and accessories for your workout. A great replacement for an iPod is the SanDisk Clip Sport Plus. Considered to be the best MP3 player under $100, it’s water-resistant, has Bluetooth support for a safer workout with wireless headphones and comes with a built-in clip that makes it wearable. This MP3 player also has a screen, easy to use controls and an FM radio. Battery life runs from 20 hours with wired headphones and almost seven hours with Bluetooth. 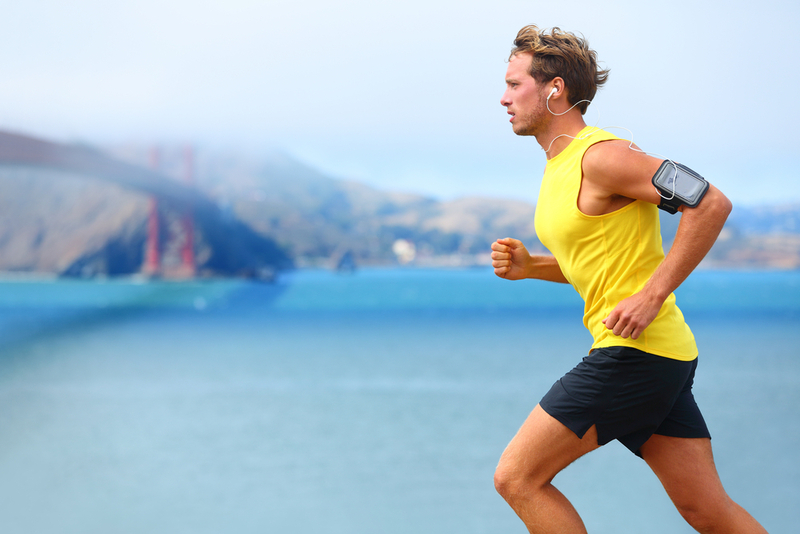 Earbuds are frequently the key to a safe and unimpeded workout. Axum wireless sport earbuds offer high quality audio, and include a microphone to allow you to take a call without accessing your phone as well as using voice commands with Google Now or Siri while in its pouch or pocket. These wireless earbuds eliminate many of the difficulties encountered with other earbuds. They include a nanotech waterproof coating for protection while maintaining a pristine audio quality. The Bluetooth battery life lasts up to eight hours and the Axum case for charging them carries a four-hour backup charge. Axum Wireless Sport Earbuds have an adjustable hook design that keeps them securely in your ears.